are doing each week and tips for your garden and landscape with pictures. Check us out! their employees, customers and community. Sunday, April 21, 2019 . We have a large selection of Easter lilies, Easter mums, azaleas and geraniums along with houseplants and perennials. Enter to win a gift certificate! We are proud to announce that L.A.Reynolds has given Mitchells their full endorsement to all of their 1000's of customers over the many years they were in business. 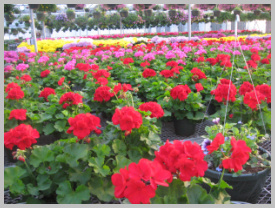 We are sure many of you have been to L.A.Reynolds and they wanted to recommend a Nursery that provided the same quality they have over the years. 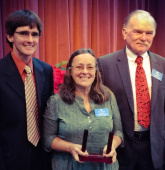 Thanks to Ken and all at L.A.Reynolds for recognizing Mitchells. We are expanding! Construction is set to begin for the addition of three new greenhouses in 2019. Come on out and visit with us and let us tell you about the future of Mitchell’s Nursery. We have also began the grading for a new growing area in our new satellite location just down the road. This is where we will grow our smaller plants to more mature stage so that we can guarantee you will get a quality product that is ready to be planted in its permanent home. located 20 minutes north of Winston-Salem, North Carolina. Piedmont Triad area gardeners with one of the largest varieties of trees, shrubs, perennials, annuals, and potted plants. Most plants are grown on site at 1088 W. Dalton Rd King, NC. 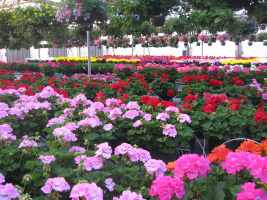 Why choose Mitchell's Nursery and Greenhouse? For the quality assurance that only a locally owned grower can provide. All of our products are non GMO.